If your company needs some improvement in your print marketing strategy, create a brochure. If you need brochure design inspiration, here are 7 ideas. Australia is home to nearly 2 million small businesses. With all of this competition, Australian business owners have to find a way to appear unique to consumers. 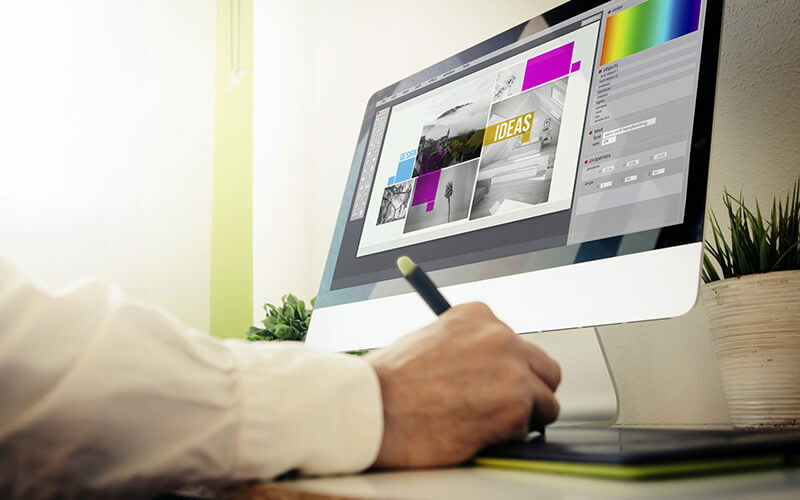 While most business owners realise the benefit of digital advertising, many of them view print marketing as a thing of the past. When done correctly, printed marketing materials can draw consumers in and create quality sales leads. For years, business owners have used brochures to inform the general public about their products and services. Finding brochure design inspiration can be a bit easier said than done. Working with professionals in the print marketing industry is a great way to get some ideas on how to properly structure a brochure. The following are some of the things you need to consider when trying to put together a well-designed brochure. The first thing a business owner needs to figure out is what the purpose of the brochure is. Often times, business owners will print brochures to tell consumers about a new product or service. Other business owners print up brochures to draw awareness to their brand or to offer an overview of the services and products they provide. Knowing the main goal behind the development of the brochure can make the design decisions that follow easy. If you are struggling with defining the purpose of your brochure, polling your existing customers may be helpful. Generally, your customers can offer an objective view on what they think your brochure needs. One of the biggest mistakes most business owners make when it comes to designing a brochure is going overboard with their fonts. Putting too many different fonts on the brochure can lead to confusion and may make the text hard to read. Generally, brochures will only need three different fonts. The header, subheadings, and copy should all be different fonts. However, these fonts should complement one another and be easy to read. Putting whacky fonts on a brochure not only lessens the readability, but it can also present an image of a business that is far from professional. Rather than alienating your audience due to the use of weird fonts, keep it basic and appealing. Having an appealing brochure is important, but you need to make sure it is informative as well. The copy in a brochure should be easy to scan and error free. Failing to proofread the copy put into a brochure can lead to lots of mistakes. Most business owners leave the writing of this copy to professionals. Hiring a professional writer to develop this content will take a lot of stress off of you and will help to ensure the right tone is achieved. Trying to handle every aspect of the brochure development process is a bad idea. With the help of seasoned professionals, you should have no problem achieving the results you are after. When designing a new brochure, your main goal should be appealing to the reader. Filling a brochure with appealing pictures and informative text is a must when trying to achieve success. The last thing any reader wants is to look at a brochure that is filled with industry jargon. This is why you need to keep your text easy to understand and approachable. Once you get a rough draft of your brochure made up, you should let a few consumers take a look at it. By doing this, you can find out what issues exist and how to optimise the look and feel of your brochure. As most business owners know, the modern consumer has a very short attention span. Getting a person to engage with your brochure will be a lot easier if you put high-definition images in it. The images that you put into the brochure should be related to the subject matter and colourful. Often times, the images in a brochure are the first thing a reader will notice. This is why you need to do your homework before selecting the pictures to include in this brochure. If you want to include original images in your brochure, then you will need to find an experienced photographer to help you out. Before hiring a photographer, be sure to take a look at their portfolio to find out more about what they are capable of. Once you have ironed out all of the design details of your brochure, you will need to find a printer to work with. If you are going to be printing up lots of these brochures, then finding a printer that can offer a good deal is a must. Often times, business owners will find a printer before they design their brochure. Generally, a printer will have a number of brochure templates that a business owner can pick from. Once a business owner has chosen a template, they will be able to customise certain aspects of the brochure. Not only will this provide a business owner with an appealing flyer, but it can also make the design process much easier. Converting brochure readers into actual customers is a bit harder than you may think. The best way to create quality sales leads from this type of advertising is by including an effective call to action. A call to action will provide the brochure reader with information regarding the next step your business wants them to take. This action can be contacting your company or even visiting your website. The language in your call to action should be persuasive and sales-driven. Hopefully, this article has provided you with a great deal of brochure design inspiration. Now that you have an idea of what your brochure need to include, it is time to take action. Are you looking for help with brochure printing? If so, contact us now to find out more about the services we offer.